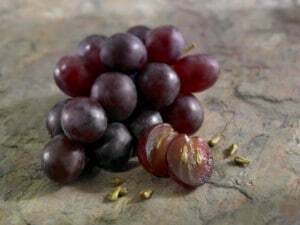 Whole grapes have been a dietary staple among the cultures of central Europe, Asia, the Mediterranean, and the Middle East for thousands of years. It was not until the 1970s, however, that the true health benefits of the grape would be realized. In 1970, the American Cancer Society became the first organization to successfully extract Oligomeric Proanthocyanidin Complexes (OPCs) from the seed of the fruit. Following the discovery of OPCs, Grape Seed Extract (GSE) has become one of the best-researched sources of antioxidants, vitamin E, and flavonoids that drive holistic health and wellness. GSE has been shown in numerous studies to help individuals lower total cholesterol to a healthier and more manageable level. In fact, a study at the University of California-Davis found that GSE reduced cholesterol levels while also leading to corresponding decreases in blood pressure of participants. GSE contains very high concentrations of Oligomeric Proanthocyanidin Complexes (OPCs) that are known to be powerful antioxidant properties (i). OPCs are metabolites common to various different vegetables, flowers, and fruits like grapes. The high OPC content of GSE makes the plant-based extract highly effective in reducing the negative impact of free radicals. More on Free Radicals: Free radicals are atoms, molecules, or ions that lack an electron and are thus unstable. These “malicious” particles roam the body in search of an extra electron to achieve balance. The search for an extra electron often leads to free radicals damaging the cells with which they come into contact, and modern medicine is increasingly linking this “free radical damage” with cancer and other serious illnesses. It is important for individuals to proactively consume foods that are high in antioxidants, like grapes and GSE, to protect their bodies from free radical damage. The high antioxidant content of GSE also makes this all-natural extract incredibly effective in preserving the youthful appearance of the skin. As noted above, free radicals may damage healthy cells while searching for an extra electron for balance. In no organ is this more visible than the skin, where wrinkles, age spots, and “crow’s feet” are often the result of prolonged sun exposure and free radical damage. As an antioxidant, GSE supplies malicious free radicals with an extra electron and halts their destructive behavior on the cellular level, long before it has a chance to damage the outward appearance of the skin. Most recently, GSE has been linked with the prevention of breast, prostate, and lung cancer. Researchers believe the nutrient profile of GSE is the main source of its cancer-preventing power, pointing to its naturally high levels of vitamin E, flavonoids, OPCs, and antioxidants as primary contributors. One last reason to love grape seed extract (GSE): According to Miami dentists, it may prevent cavities! Recent studies show that those who ingest GSE on a daily basis may lower their risk of developing dental caries and tooth decay (ii). The active substances of GSE have been show to reduce the growth of bacteria in the mouth, specifically Streptococcus mutans. In preventing the formation of this bacterium, and others like it, GSE helps to keep oral tissues free of the acid-producing plaque responsible for tooth decay.